The first employee hired by PETER VENKMAN for the newly formed GHOSTBUSTERS, JANINE MELNITZ was selected partly because she was the only interested applicant... although, at first, her interest was more in DR. EGON SPENGLER than in the job itself. 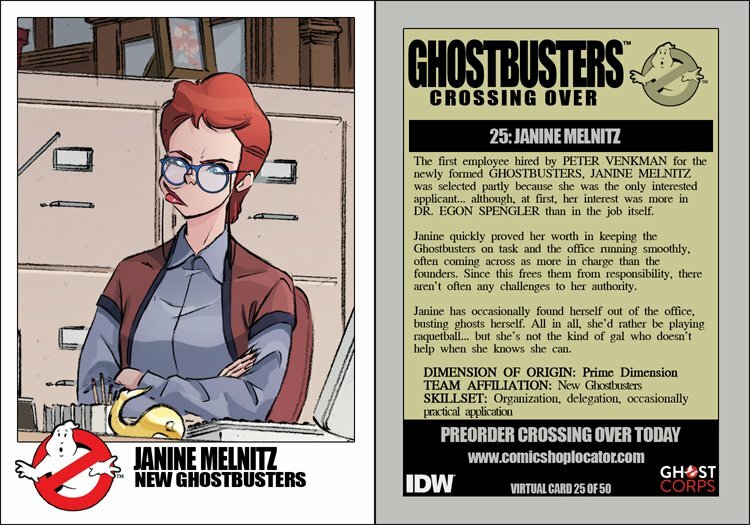 Janine quickly proved her worth in keeping the Ghostbusters on task and the office running smoothly, often coming across as more in change than the founders. Since this frees them from responsibility, there aren't often any challenges to her authority. Janine has occasionally found herself out of the office, busting ghosts herself. All in all, she'd rather be playing raquetball... but she's not the kind of gal who doesn't help when she knows she can.